Bro. 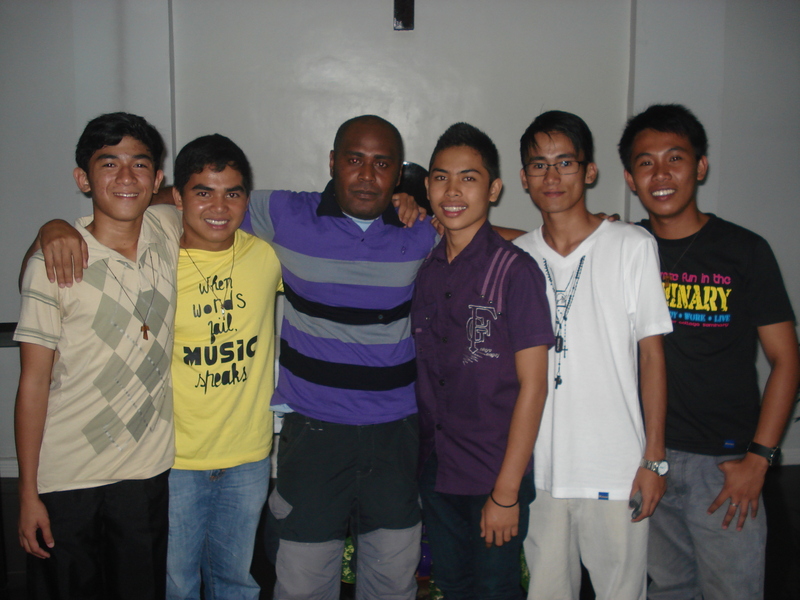 Aubin Naomauri,SM completes his Pastoral Year! Bro. Aubin is being prayed over by his confreres and friends. On the 7th November, Bro. 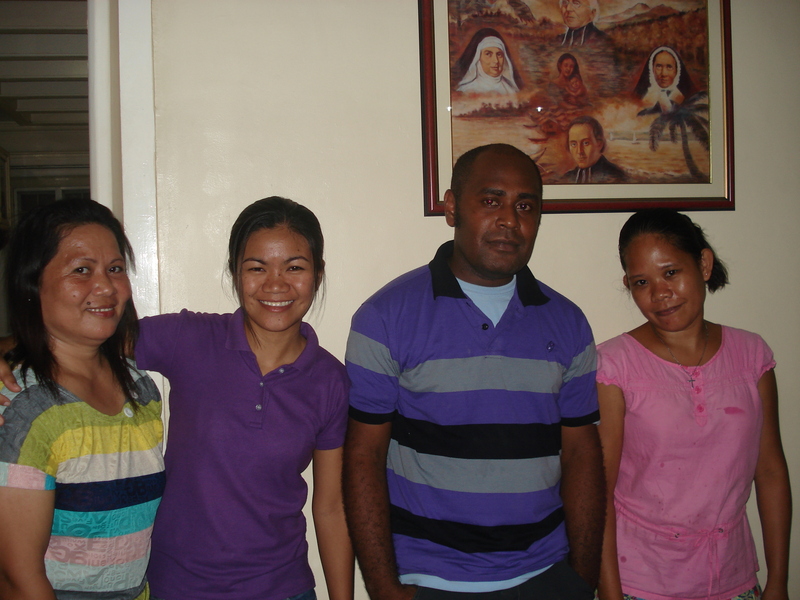 Aubin departs from the Philippines after completing his Marist Missionary Experience. Bro. Aubin arrived in Davao in December 2011. 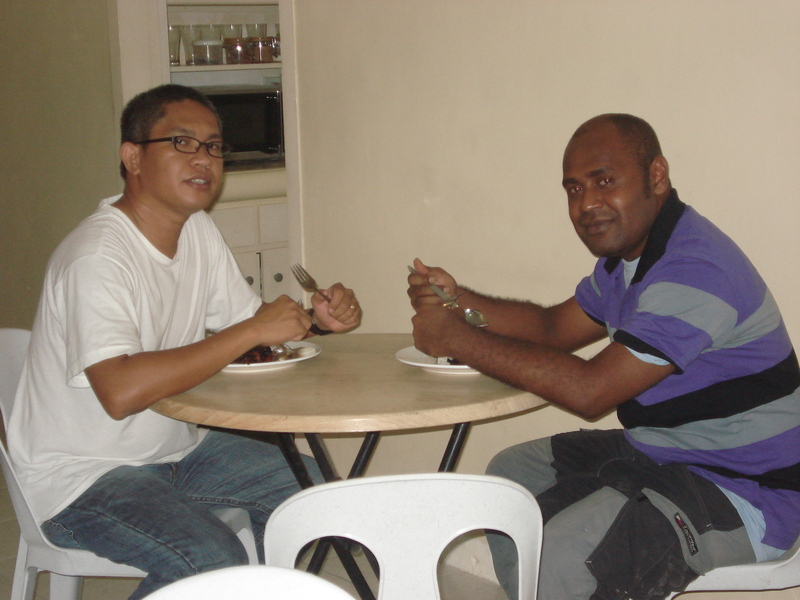 After doing cultural orientation and language study, he was assigned to Marist community in Matti, Davao del Sur. 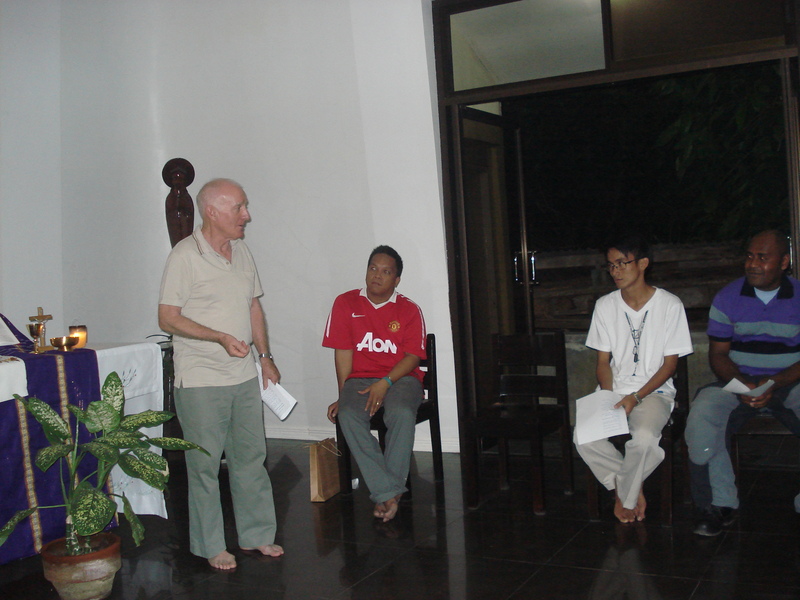 The Marists are establishing and journeying with the people who are preparing to build their own parish Church here. He spent all his pastoral year in Matti. He had wonderful experiences in ministry with the altar servers, in facilitating faith sharing for the government’s workers, in teaching at a local school and in being with the senior citizens. In prayer, perseverance and patience, he was able to overcome the challenges and trials of the community and the mission. Bro. Aubin’s Pastoral year is part of his priestly formation. 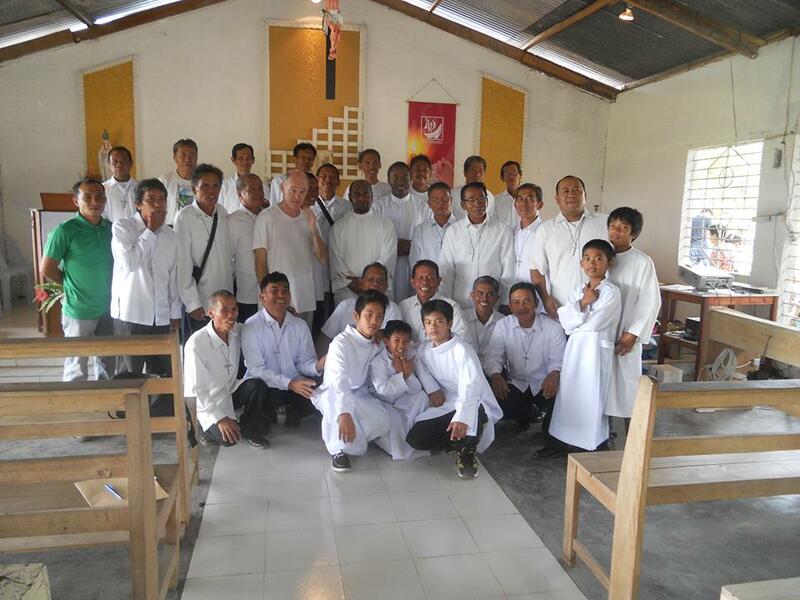 A Marist seminarian after doing some theological studies is sent to mission to experience living in community, to learn to integrate his studies to the pastoral work, and to know himself as well as develop and use his talents and gifts. The District is grateful for the Province of Oceania for sending Bro. Aubin to the Philippines. We are also grateful for Aubin for his presence and everything he has contributed to the life and mission of the District. 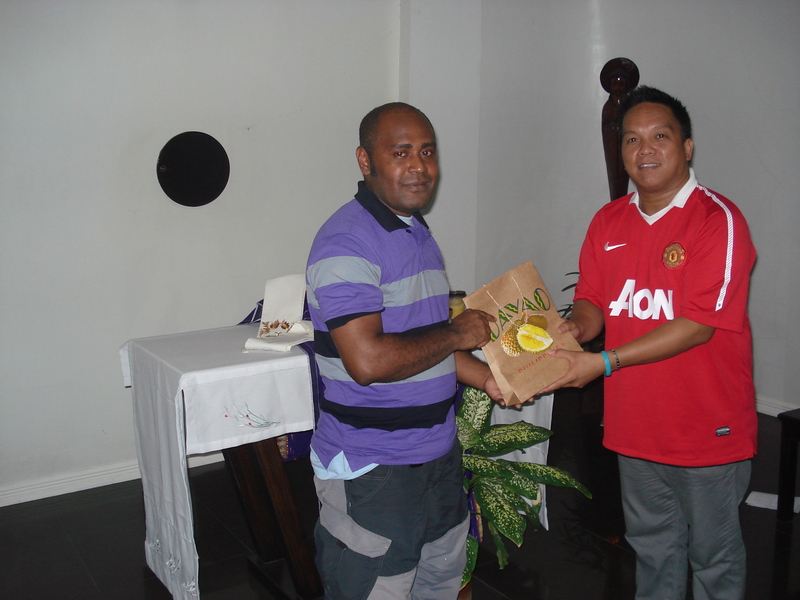 We wish Aubin a safe travel and blessing as he goes back to the Pacific and continue his Marist formation. Thank you, Bro Aubin and all the best!! Thanks Bro. Aubin for your contribution to the District. Safe trip and wish to see you somewhere in the Pacific.